This sign was posted at the entrance to the Fred Victor Open House drop-in on May 14, just a week before the decades-old drop was suddenly scheduled to close. Update: Shortly following the launch of the petition and the open letter, we received a response from Fred Victor management indicating that the drop-in closure won’t proceed indefinitely as was previously indicated. The drop-in closure will be limited to four days, and it will reopen on Monday, May 28. We’re glad public pressure has ensured the critical drop-in does not shut down. Thanks to all those who shared and signed the petition. To: Wangari Muriuki, Board Chair, and Mark Aston, CEO, of Fred Victor, Toronto. Aston is also the frequent spokesperson for the Toronto Alliance to End Homelessness. Starting Tuesday, May 22, the Fred Victor Open House drop-in program at 145 Queen Street East is scheduled to close “until further notice.” The announcement was made on Monday, May 14, just a week prior to the sudden shut down of a decades-old drop in program. This service cut is happening in the midst of a deadly shelter and opioid crisis in the city that claimed at least 100 lives last year. The drop-in provides a vital service in the neighbourhood and the community cannot afford to lose it. We, the undersigned demand that the Fred Victor Centre stop the drop-in closure and find resources to reinstate the 4-hour drop-in, with food and adequate staffing to support the service. 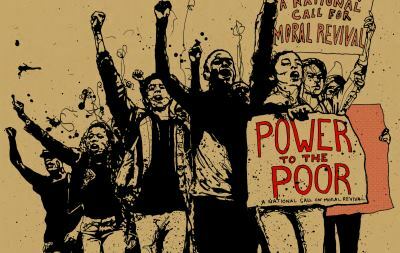 Wednesday, April 25 | 6:30pm | St.Luke’s Church, 353 Sherbourne St.
Last year, in collaboration with the new Poor People’s Campaign in the United States, Justseeds produced a print portfolio for the renewed call to end poverty. At this workshop, Justseeds artists Jesse Purcell and Paul Kjelland will host an exhibit of the portfolio and a community open studio. Participants can learn screen printing basics and create prints on fabric for local anti-poverty organizing. Feel free to bring T-shirts if you want to screen-print one! Press Conference at 1pm on Thursday, April 12, at south-east corner of Dundas & Sherbourne, the location of Margaret’s respite centre, which will lose at least half its capacity this Sunday. The earlier version of this media release can be found here. Speakers: Gaetan Heroux (OCAP), Maggie Helwig (Priest, St. Stephen-in-the-Field Anglican Church), Maurice Adongo (Street Health), and Greg Cook (Sanctuary). 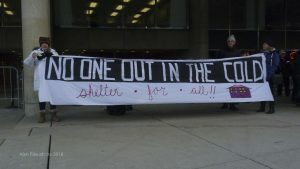 Toronto: On April 15, the All Saints church respite site, officially considered to be part of Margaret’s, and located at Dundas and Sherbourne, will shut down. The impending closure will result in Margaret’s losing over half of its 110 person capacity, forcing 60 people to relocate, but no one knows where to. Until today the City had not released a plan for the operation of respite sites post April 15, the day these sites were originally scheduled to shut down. This morning, a day ahead of the planned protest, the City publicly announced that it will be retaining six of its eight respite centres, and replacing two – the Better Living Centre and 348 Davenport Road. An average of 93 spaces lost nightly through the closure of the volunteer-run Out of the Cold program will not be replaced. “There are two problems with the City’s plan. First, respite service is being cut by almost 250 spaces, even as the deadly shelter crisis persists. The cut includes 60 spaces at Margaret’s, located at Dundas and Sherbourne, where the need for homeless shelters is dire. Secondly, the City is forcing an dreadful choice on homeless people. They must either travel far out of the downtown core, leaving behind support networks, services and related infrastructure, or stay behind and revert to surviving on the streets. Many will ‘choose’ the latter,” says Yogi Acharya, organizer with the Ontario Coalition Against Poverty. The spreadsheet demonstrating the loss of nearly 250 respites spaces is attached. It can also be downloaded here. The intent behind the extension of the respite sites was to ensure that over 700 people staying in the 8 winter respite sites and various volunteer-run overnight programs aren’t simply dumped back onto the streets. Homeless people and advocates will be gathering outside of Margaret’s as planned tomorrow to demand that the City immediately pursue and open a replacement respite site in the downtown east and follow through with the addition of at least 1000 new shelter beds this year. Press Conference at 1pm on Thursday, April 12, at south-east corner of Dundas & Sherbourne, the location of Margaret’s respite centre, which will lose at least half its capacity this Sunday. Speakers: Gaetan Heroux (OCAP), Maggie Helwig (Poverty Reduction Committee, Anglican Diocese), Maurice Adongo (Street Health), Greg Cook (Sanctuary), two more to be confirmed. “People are in respite sites because they can’t get into overloaded shelters. The severe shortage of shelters was the precise reason why the operation of respite sites was extended to the end of the year. In this context, claiming that shelter space can now be magically found is dishonest, especially when every single shelter sector continues to remain full. If shelter space was that readily available, why wasn’t it offered before? As for respite sites, the only one with sufficient capacity is the Better Living Centre, half-way across the City. But even that site is facing closure, at-most a month later, with no plans publicly announced for where people staying there will go,” says Gaetan Heroux, member of the Ontario Coalition Against Poverty (OCAP). The intent behind the extension of the respite sites was to ensure that over 700 people staying in the 8 winter respite sites and various volunteer-run overnight programs aren’t simply dumped back onto the streets come April 15 – the date these sites were originally scheduled to close. City management committed to publicly communicating a clear plan that would ensure people would not be robbed of even the most bare-bones shelter from the elements the respite sites provide. No such plan has been released to-date. At the action on April 12, homeless advocates will be demanding that the City immediate pursue and open a replacement respite site in the downtown east and follow through on the adding of at least 1000 new shelter beds this year to deal with the deadly shelter crisis. 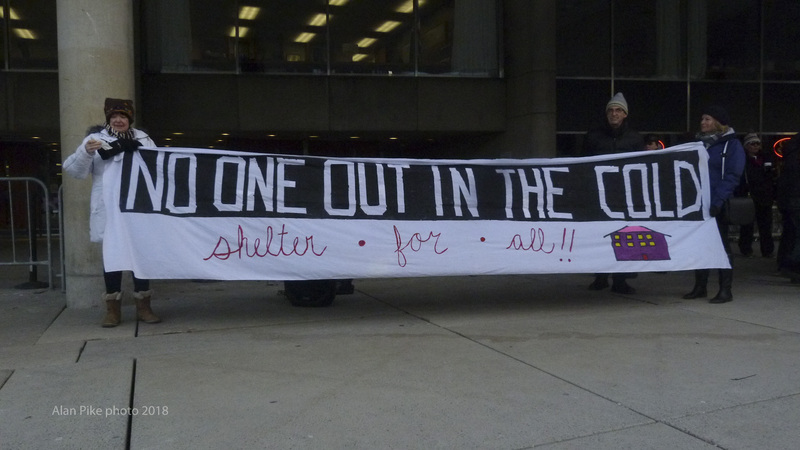 On April 15, the All Saints church respite site at Dundas and Sherbourne will shut down. The site is officially considered to be part of the Margaret’s respite centre, which is located in the same building. The closure will result in Margaret’s losing at least half of its 110 person capacity. This means, come April 15, at least 55 people presently staying at Margaret’s will be evicted. Respite sites take in homeless people who cannot get into the City’s overloaded shelters. In February this year, following a months-long fight, council approved an extension of the City’s winter respite sites to the end of the year. It set aside $14 million to ensure that the over 750 people staying in the 8 respite sites and various volunteer-run overnight programs aren’t simply dumped back onto the streets come April 15 – the date these sites were originally scheduled to shut down. City management committed to publicly releasing a clear plan that would ensure people had a place to go. To-date, no such information has been communicated publicly. The staggered closure of the volunteer-run Out of the Cold program has already resulted in the loss of 447 respite spaces, an average of 64 per night. By April 27, when the last Out of the Cold site shuts down, we will have lost 652 spaces, an average of nearly a 100 per night. The loss of at-least 55 spaces at Margaret’s will be an additional blow. In a context where it took a major fight and the death of nearly 100 homeless people to force a response to the shelter crisis, the City’s tardy approach to ensuring the continuation of the respite sites leads to only one conclusion. The delay is deliberate, they are banking on homeless people losing hope and reverting to sleeping rough in the ravines, under bridges, and on the streets. Respite service at substantially reduced levels might continue, but it will not be guaranteed. Such calculated disregard for the lives of homeless people must be challenged. Thursday, April 19 | 6pm – 8pm | CRC, 40 Oak St.
Azeezah Kanji is a legal analyst and writer based in Toronto. She is the director of programming at Noor Cultural Centre and a regular opinion writer for the Toronto Star, focusing on issues related to race, law, national security, and human rights. Anna Willats has been an activist working on social justice issues, particularly violence against women and transgender folks, since 1982 in Toronto. She is currently a professor in the Assaulted Women’s and Children’s counsellor/Advocate Program at George Brown College. Over the past few months, the #MeToo movement has brought down several prominent men accused of sexual harassment and violence against women. The movement has been successful in exposing the pervasiveness of this violence in our society, and has been rapidly endorsed by celebrities and politicians. But does #MeToo address the concerns of poor women? Is its scope limited to exposing the harassment and violence perpetrated by famous men, or to the violence experienced by rich women? 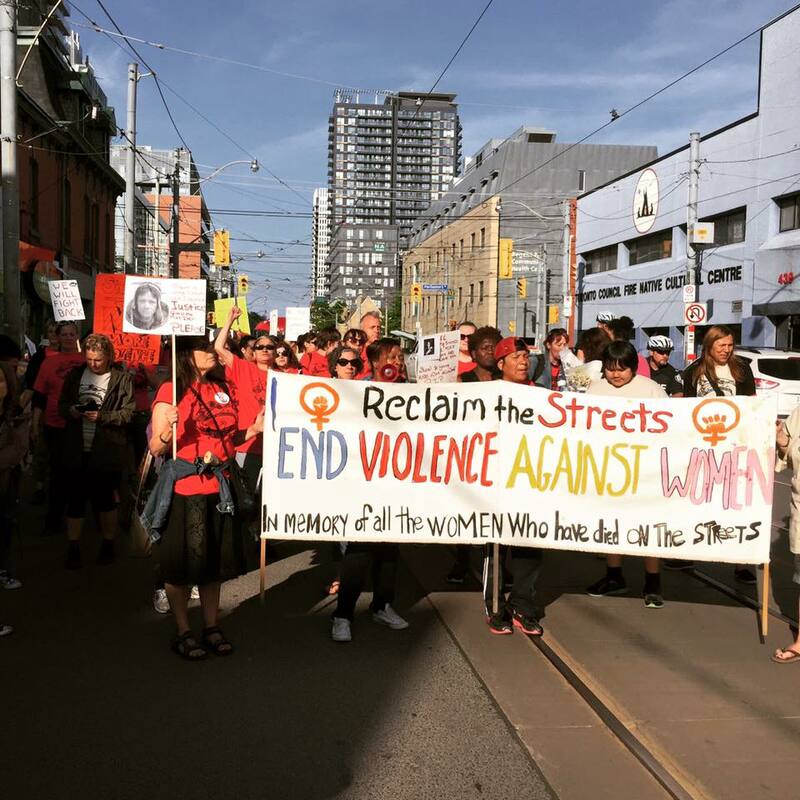 How does the movement respond to systemic violence against Indigenous and racialized women? 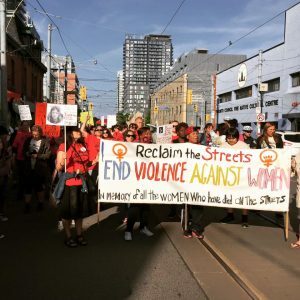 What does the history of movements fighting violence against women teach us about similar struggles today? How have poor women fought back? Join us for this important conversation to better understand the forces shaping #MeToo, and the history of poor women’s resistance to violence. 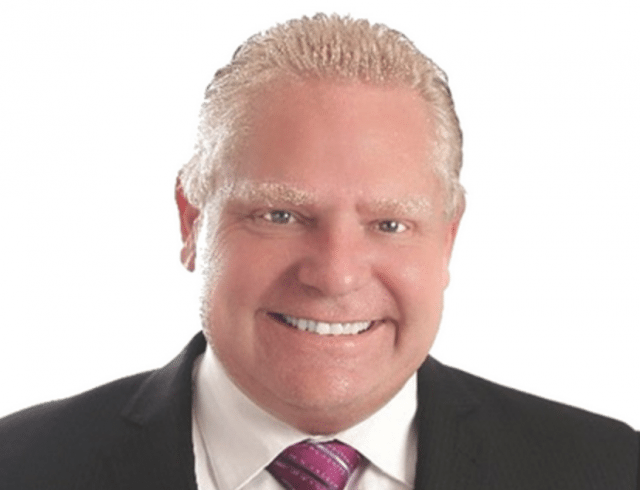 What if Doug Ford wins? We’re not suggesting in OCAP that the outcome of the impending Ontario election is settled or that any result is inevitable. However, we do feel that the possibility of a majority Tory government, led by Doug Ford, is serious enough that it would be wise to consider now what that would mean and how unions and social movements might respond to such an outcome. We would be the first to agree that an austerity agenda has been at work during the years the Liberal party has been in government and that it will continue regardless of who wins the next election. However, a Ford government would be a hard right regime that could be expected to escalate the attack on workers and communities considerably. There are obviously some comparisons to be made to the Harris Tory regime that held power from 1995 to 2003. There was considerable resistance during those years but there are lessons that must drawn as well. When the Tories first took power, there was a kind of stunned demobilization that lost us time and momentum and, when the Days of Action strikes and mass protests got underway, as impressive as they were, there were serious limitations in how they were conducted. The object of the whole mobilization was never made clear. Was it all about trying to put moral pressure on the Tories or to create a social force that could actually stop them? At the same time, the events were sporadic and no plan to escalate to province wide shutdown was ever developed. 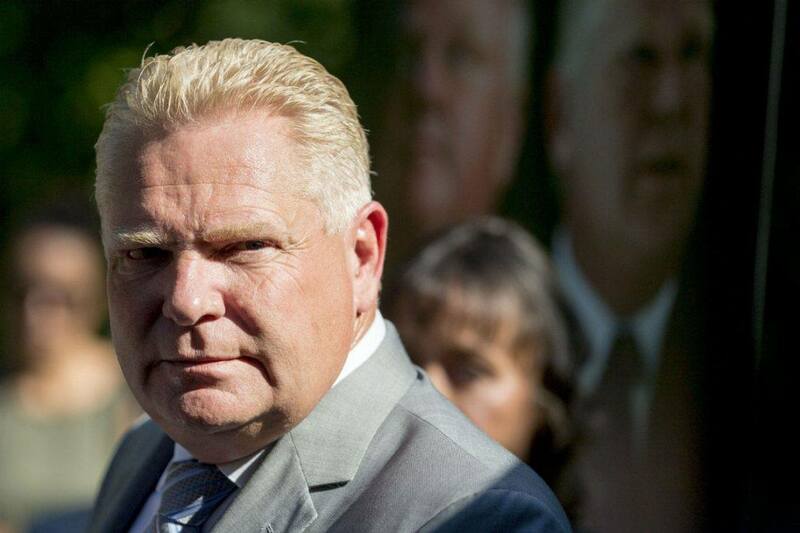 OCAP is proposing that organizations and union and community activists who think we should be ready for Ford, should meet, discuss and plan a fitting response should he take the election. There will certainly be protests against the regressive measures his government would take but we are suggesting that we need a movement ready to fight fire with fire. The response to his attacks should be a working class common front that is ready to create a level of economic and political disruption powerful enough to force the Tories to retreat or to drive them from office. Ford would attack worker’s rights, the social infrastructure and the environment, fan the flames of racism and trample on Indigenous rights. The potential for a winning social mobilization against him is enormous but only if a lead is given. We’re hoping that, we can bring together the basis for a kind of caucus for a real fightback that could influence union and community action and the course of the struggle. Please let us know if your organization or you, as an individual activist, would be interested in being part of this by emailing ocap@tao.ca.